As we mentioned before, on January 9, the Mt. Airy Business Association and GRINCH (that’s Green in Chestnut Hill, not that green guy who hates holiday cheer) are hosting a TreeCycling event. Bring your browning, bare trees to Mt. Airy and Chew Avenues and have them mulched for just five bucks. You’ll keep that holiday glow knowing your tree will return to its roots in the soil, rather than end up in a landfill. 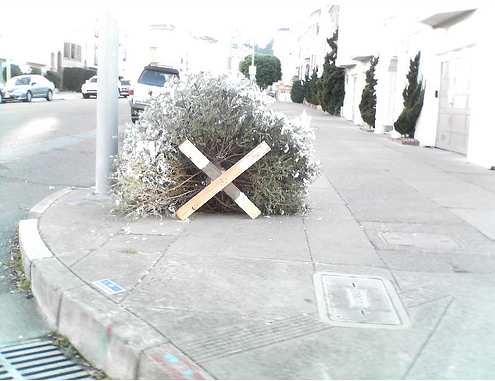 Holiday Tree-Cycling: 1 - 4 p.m. Sunday, January 9 at Chew and Mt. Airy Aves. ; drive into the lot alongside Gabbie’s Garden. *Please remove all decorations; $5 suggested donation.